Meet and greet over 400 community, business leaders and students who participated in Challenge Day while honoring our youth as we remember and celebrate the birthday of a great icon, Dr. Martin Luther King, Jr.
Keynote speaker Dr. Agustin V. Arbulu is the chief executive officer of the Michigan Department of Civil Rights (MDCR). He oversees a statewide workforce of more than 105, an annual budget of over $17 million and three offices in Lansing, Grand Rapids and Detroit. MDCR serves as the operational arm of the Michigan Civil Rights Commission, enforcing the Elliott-Larsen Civil Rights Act and related disability laws in Michigan. Dr. Arbulu also serves as Chair of the State Advisory Committee for the U.S. Commission on Civil Rights. During his tenure at MDCR, the Commission released its groundbreaking 2017 report, The Flint Water Crisis: Systemic Racism Through the Lens of Flint. Dr. Arbulu is also leading an initiative centered on embedding racial equity within local government to reduce disparities affecting underserved communities. 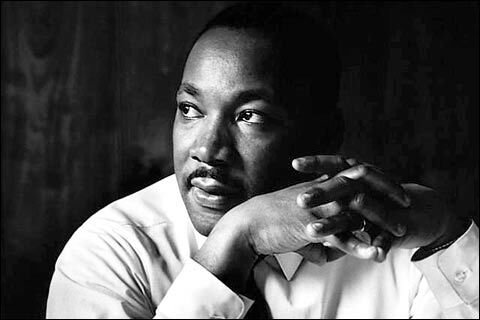 Join the Jackson County Chamber of Commerce, The Jackson County Intermediate School District, the City of Jackson Human Relations Commission, Business Leaders and students from Challenge Day 2018 as we honor and remember Dr. Martin Luther King while hearing an inspiring, motivational and encouraging speech.